Arrowhead Web Design & Consulting - Web Site Design & Updating, Domain Names, etc. is an electronically devised company which allows its clients to advertise their company or sell their products globally using the World Wide Web (WWW). 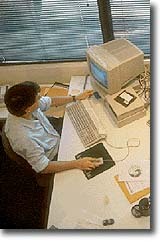 We combine the latest in computer technology to produce Quality Web Site Design. It is the only source you will ever need for your Internet needs. in Jack London's historic Valley of the Moon (Glen Ellen) in Sonoma County, California. We work with businesses, organizations, individuals, and events seeking to establish a Web presence and advertise their company or product on the Internet. takes pride in its unique working relationship with our clients by offering personalized services which listen to their needs, develop their target areas, and incorporate these items into a well presented Web Site that works. Our graphic designers and programmers use the latest state-of-the-art equipment and software which will not only satisfy your specifications and effectively market your Web Site on-line, but represent your company in a friendly and professional manner.